There's another group of fun challenges posted on SCS for the Dare to Get Dirty week! I created this card for the following dirty girls' challenges: JeanneS, KelliJo, JPMayo, Jellybean74 and Whippetgirl. 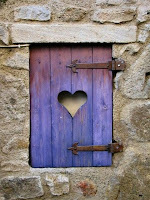 I can't go into details here on my blog...you will have to be a fan club member on SCS, so check it out HERE. I created this fun purse from 3 different punches by SU: the large and small ovals and the round tab punches. 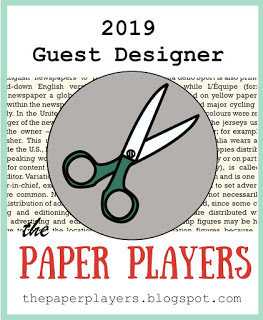 Designer papers are from Graphic 45's French Country pad. 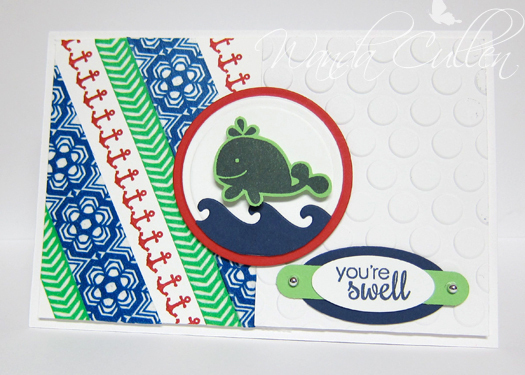 The sentiment stamp is by Skipping Stones Design; sentiment flag stamp is by Lil' Inker Designs. 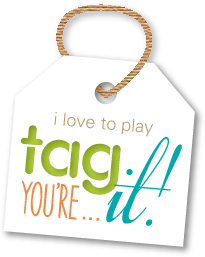 Thanks for stopping by...don't forget to join in the DTGD challenges for a chance to win some fabulous prizes! 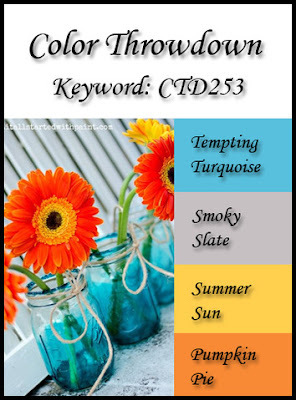 It's Wednesday and that means there's a new Color Throwdown Challenge on board! 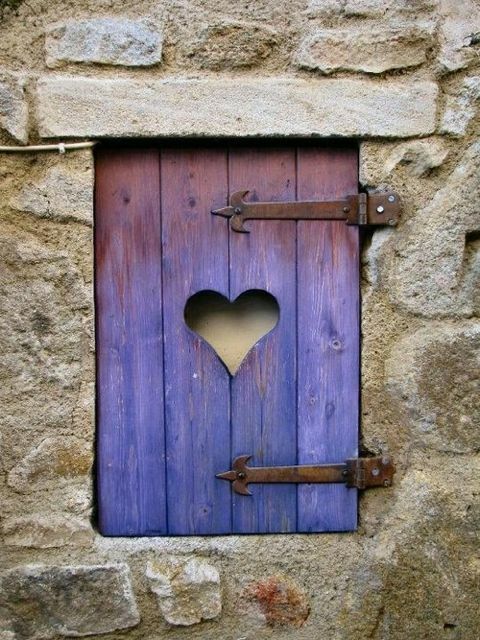 I'm the hostess this week and wanted to use this photo I found on Pinterest as the inspiration for the colors! I've been seeing lots of ideas on the web using Mason jars and these flowers just made me happy! I decided to "play tag" with this challenge and LOVED playing with SU's new Gorgeous Grunge set! This can be attached to a gift bag for that last minute "For You" gift that may be needed. When you are finished with your creation, head over to the Color Throwdown blog to add your entry to the Inlinkz tool. Can't wait to see what you create! ACCESSORIES: So Saffron ribbon (SU), Pleated satin ribbon, Jute twine, White opaque EP, Brads. 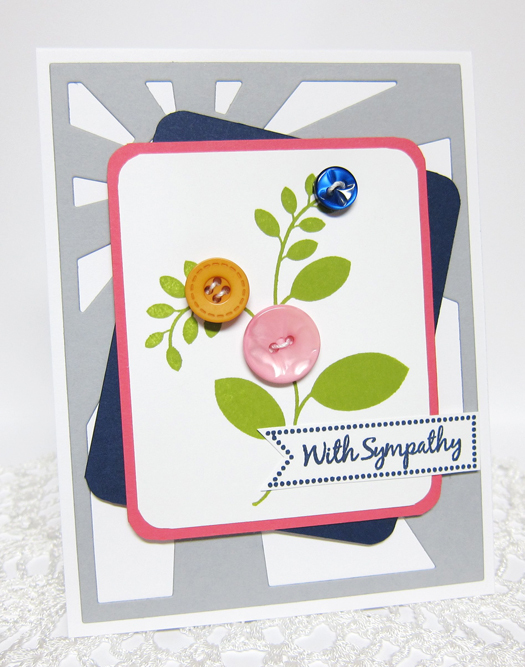 ACCESSORIES: Sun Ray Die-Namics by MFT, Corner chomper, buttons. Good morning! It's a brand new week and a brand new Mojo Monday Challenge is happening! Wow...can it really be the last Monday of July already?! My calendar is verifying that fact, so that means it's circle or square time! I opted for the 4 1/4" square version so it easily fits into an A2 envelope. For the vertical panel, I decided to create a quilted look with hexagon dies using these lovely papers from Carta Bella's 6x6 "True Friends" pack. The sentiment was stamped on a Martha Stewart tag and the leafy flourish was cut from a textured green in my leftovers pile. I layered two sizes of one of my fave Verve flowers - cutting down to the center on the petals so I could ruffle them up a bit. 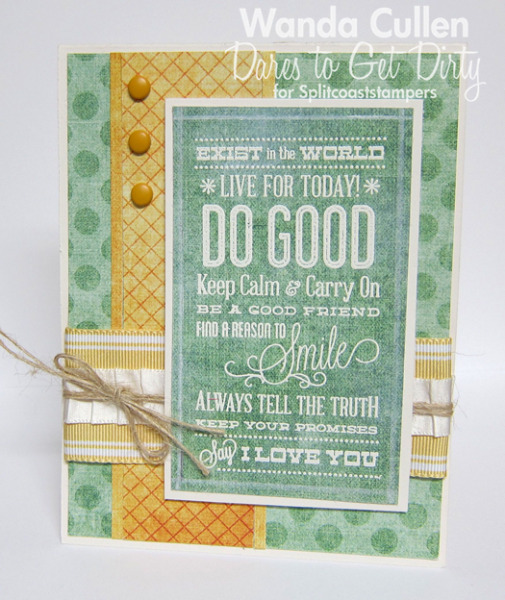 Don't forget the 2013 edition of the Dare to Get Dirty challenges is going on at Splitcoaststampers! The dirty girls are giving you LOTS of super fun challenges and there are prizes to be won! Check it out! Lydia has created this fun little permission slip if you need it - lol! 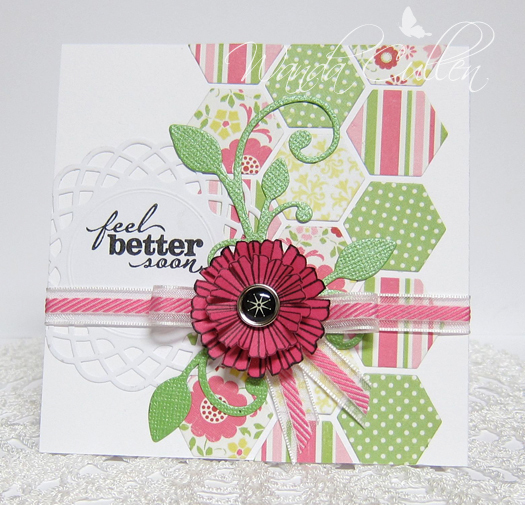 ACCESSORIES: Melon Mambo ribbon (SU), Brad, MS tag, Hexagon Die-Namics (MFT). I'm on a roll in trying to keep up with all the current Dare to Get Dirty Challenges on SCS! 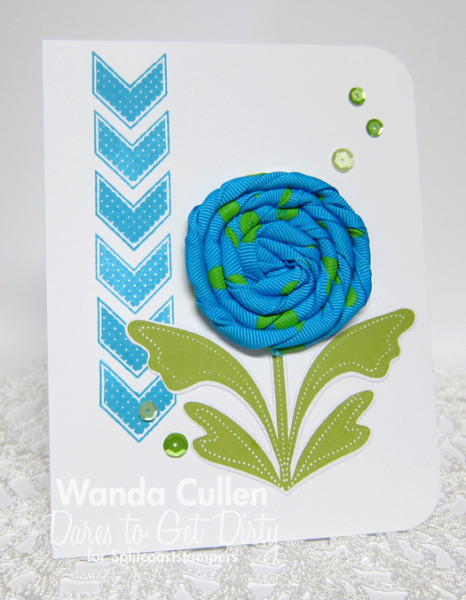 This is another CAS card using this curved border die...and wondering why on earth I waited so long to start using it! This is for two challenges - one by MakiJ and the other by Giogio. Check out this link to get all the details for DTGD week! 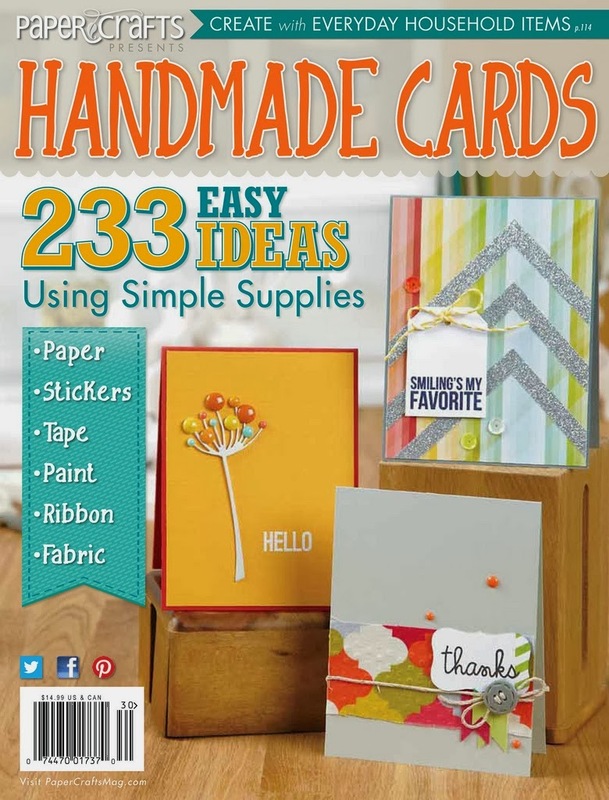 ACCESSORIES: A2 Curved Borders One die by Spellbinders, Circle Nestabilities, Primas. It's been a beautiful Sunday with fun times at a family reunion, then home again for some stampy time! 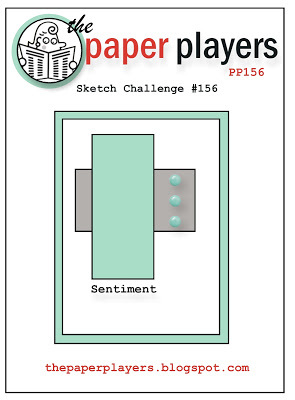 I'm using LeAnne's sketch (with a bit of tweaking) for The Paper Players Challenge and combining it with two more DTGD challenges on SCS. The BG is the belleek technique where I brayered Pink Pirouette ink on my Victoria EF then inserted white CS and ran it through my Big Shot. The image was watercolored using an Aquapainter and the following reinkers: Pink Pirouette, Summer Sun, Certainly Celery, Old Olive, Soft Sky. I attached the sentiment tag to the mason jar using jute twine. Thanks for stopping by...will try to get another card done so I can catch up on the DTGD challenges! Not sure I can get them all done, but will sure give it my best shot! 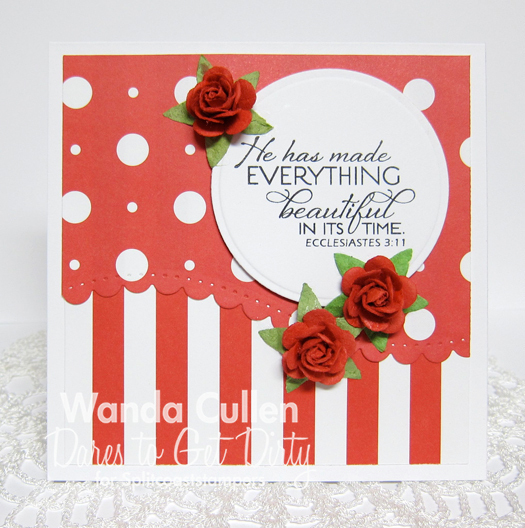 ACCESSORIES: Fishtail Flags STAX Die-Namics by MFT, Tiny tags die by PTI, Rhinestones, Victoria EF, Brayer, Silhouette Cameo/cut file for image (Flourishes). Had to sneak in a quick card before heading out to a family reunion! I'm loving all the fun challenges that the dirty girls have going on! Be sure to head over to Splitcoaststampers for all the details! 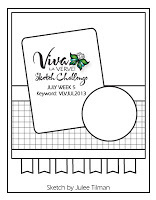 Only fan members can read the details of the challenges and it's so worth it to join! I created this card for four different challenges: Twinshappy, onehappystamper, rainy and TammyE. 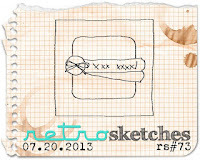 I'm on a nautical roll and am playing along with the week 5 sketch for the Viva la Verve Challenge in the Verve forum on SCS! 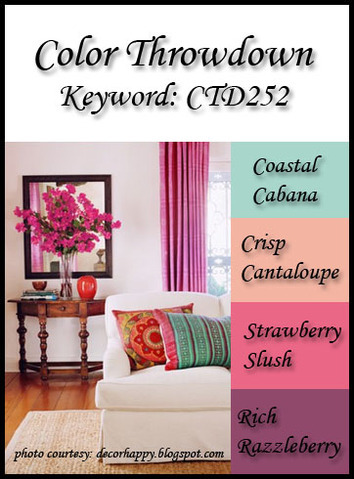 Bold, sunny colors on board, so get your shades on! Today's Free 4 All Challenge on SCS has to do with a girl's best friend - DIAMONDS! So...I dusted off my neglected diamond EF for the BG and added some sparkly bling accents! Thanks for stopping by...I always enjoy your comments! 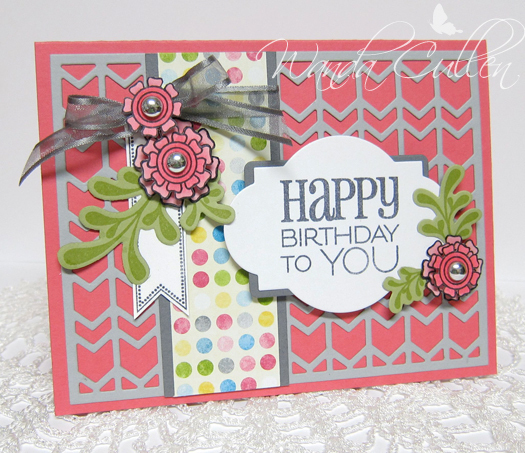 ACCESSORIES: Rick Rack Die-Namics by MFT, Nautical dies by Verve, Brad by Recollections, Rhinestones by Recollections. I know one thing...it's been a "swell" day! :-) Tolerable temperatures without any rain or humidity! Woohoo! 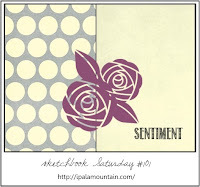 I'm playing along with Chupa's Sketchbook Saturday Challenge using some Reverse Confetti stamps. I had a leftover panel of the diagonal washi tape and stamped anchor border stripes and paired it up with a white embossed panel. 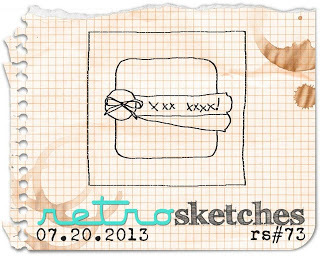 Because I layered the circle Nesties and the sentiment (using 3 different SU punches), it qualifies for SCS Ways to Use It Challenge which is all about mats or layers. I wanted the word window punch to be a little longer, so I cut it in half so the ends would extend more outside the oval base of the sentiment. 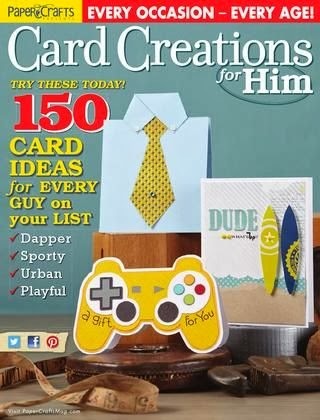 A quick and fun card to create! ACCESSORIES: Washi tape by Recollections, Oval punches and word window punch by SU, Large dotted EF by Cuttlebug, Circle Nesties, Catch a Wave Die-Namics by MFT, Silver pearls. *SCS CAS challenge to be inspired by the Pinterest photo below. 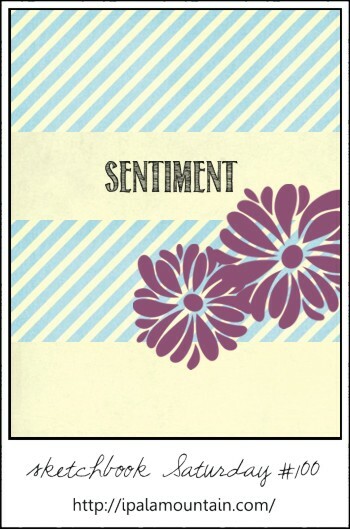 sentiment is from PTI's new "Wonderful Words: Together" set which has a matching die. The card base is 5 1/4" square using Ocean Tides CS from PTI. The heart was die cut using Tipsy Hearts by Sizzix, then crimped and sponged with white ink. Tammy has some super fun colors for this week's Color Throwdown Challenge and several are from SU's newest in colors which gave me a chance to FINALLY break open the new sampler CS pack I've had for weeks! For more inspiration, you'll want to stop by and visit the other team members' blogs as well as our talented July guestie - Stacey Schafer! Good morning everyone! 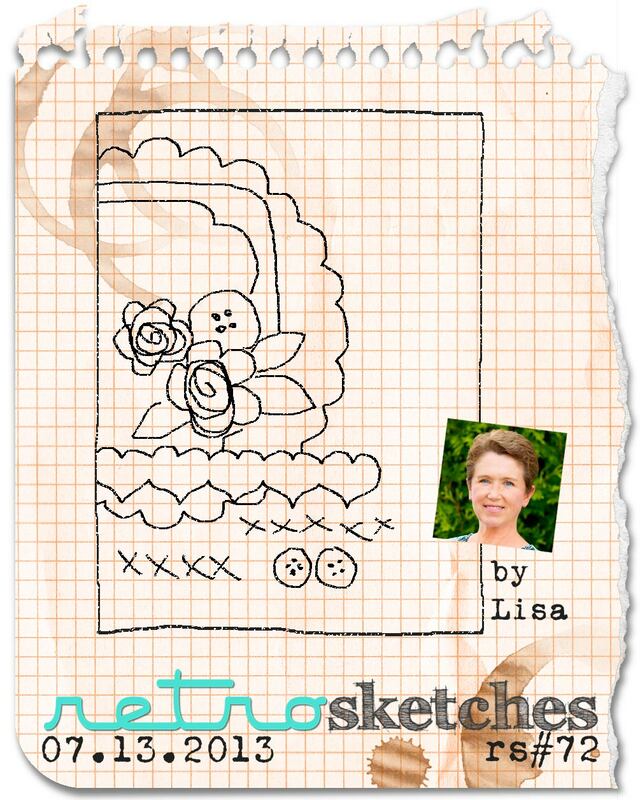 It's another Mojo Monday Challenge day and this time it's Carole who has provided us with a great sketch! I knew I wanted to create a birthday card, since our fearless leader, Julee, has a birthday this week - Thursday to be exact! HaPpY bIrThDaY, Julee! I'll confess my creative juices were not in action when I went to create this card last evening. 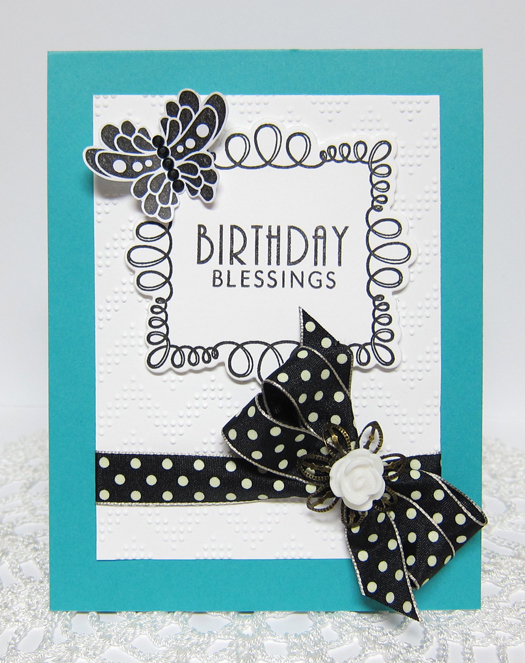 I pulled out this chevron cutting plate and die cut the BG using the new SU color, Smoky Slate. I won't bore you with details of the many attempts and redos that occurred after that, but this is the final result which doesn't make me want to do any somersaults, but it will have to do! I did get really excited when I discovered that the center portion of the Rounded Scallop Frame die fit perfectly as a layer behind the sentiment stamped on a Classy Label die shape! It's the little things - lol! :-) I stamped 5 of the flower images on X-Press It Blending Card, colored with Copics, then fussy cut and layered with foam dots. The silver bling is by Jolee's. If you're needing some more inspiration with this challenge, please visit the other mojomakers' blogs below...OR...you can hop on over to the Mojo Monday blog for details and you can click on the beginning thumbnails to see what they created! STAMPS: Birthday to You Plain Jane (Verve), Small Celebrations - flower (Verve), Sunny Days - leaves (Verve), Sentiment Flags (Lil' Inker Designs). PAPER: Sunshine and Sprinkles DP (SU), Strawberry Slush, Smoky Slate, Basic Gray, Old Olive, White, X-Press It Blending Card. INK: Basic Gray, Memento Tuxedo Black, Old Olive. ACCESSORIES: Chevron cutting plate by Taylored Expressions, Verve dies (leaves and label), American Crafts ribbon, Dimensional stickers (bling) by Jolees. It's been awhile since I played along with the CAS-ual Fridays Challenge, but thought their current challenge - to use a number or numbers on a CAS creation - was perfect to break out some numbered washi tape that I've never put to use! 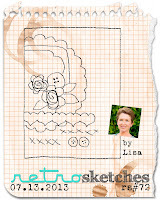 This was so quick and easy - an under 10 minute card! 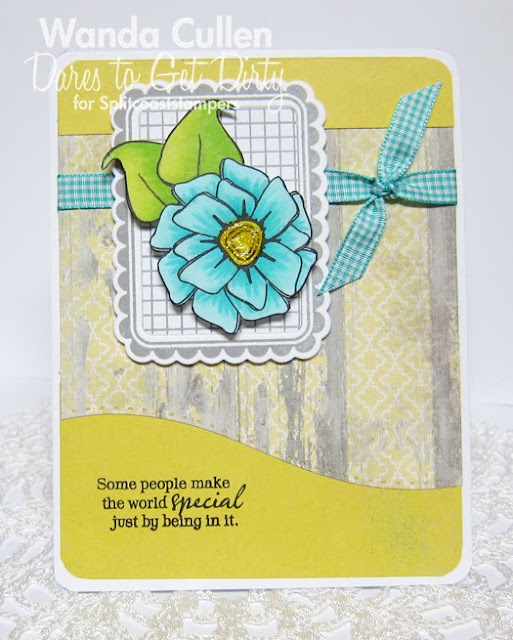 I was also inspired by a CAS card in Heather Hoffman's gallery on SCS that you can see HERE. 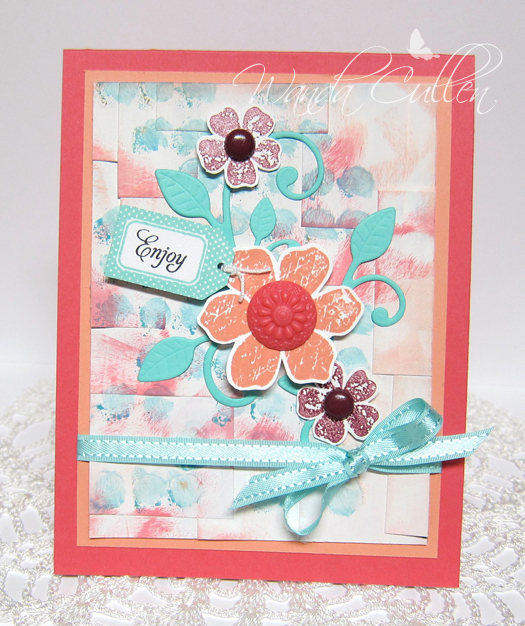 She is the featured stamper this week and has a lovely gallery that I enjoyed browsing! ACCESSORIES: Corner chomper , Washi tape by Recollections, Sentiment die by PTI. 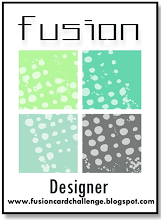 I recently discovered a new (to me) stamp company - WPlus9 - and then found out they had a Monday Mood Board Challenge happening on their blog! I couldn't resist playing along since I'm in love with their Fresh Cut Florals set that has limitless possibilities for design! I used Chupa's layout for her current Sketchbook Saturday Challenge #100 - love this one! She's got some great prizes for this special milestone, so I'm keeping my fingers and toes crossed! ACCESSORIES: Fresh Cut Florals die set, Corner Chomper, Rhinestones, Baker's twine. It's another stifling hot and humid day here in VA! Thunder is rumbling in the distance as I write this post. Have a great Thursday and thanks for stopping by! Hope you're having a wonderful Wednesday! 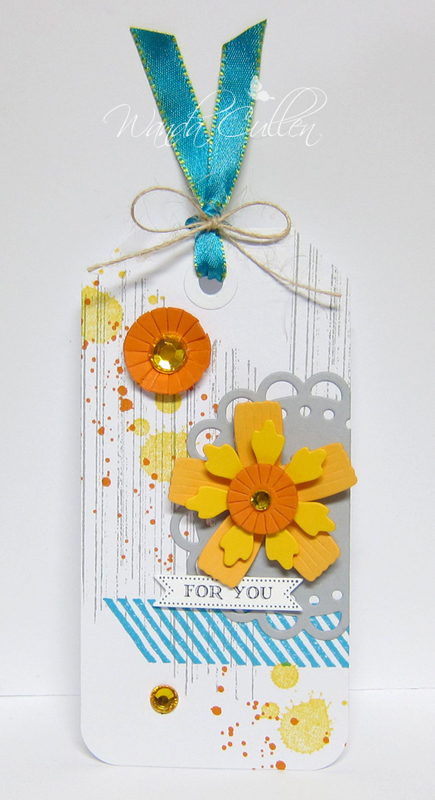 This is my second card for the day (pssst...scroll on down for my Color Throwdown creation)! 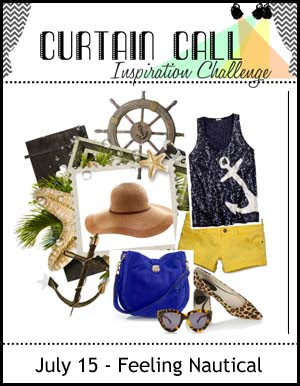 Stacey Schafer has gotten her stage up and running again with a new challenge - the Curtain Call Inspiration Challenge! 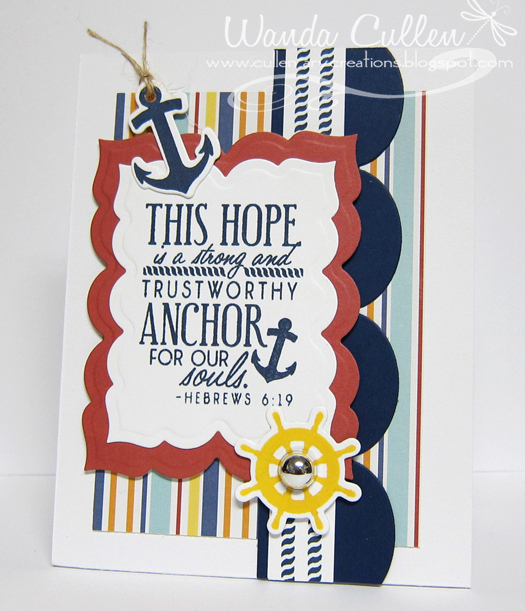 She has this wonderful nautical themed collage photo for our inspiration and since Verve is the first company sponsor on board, I just had to use the Strong Anchor set - my fave from Julee's last release! I'm also playing along with Karen Giron's Sweet Sunday Sketch Challenge - which you can see I've flipped. ACCESSORIES: Labels Twenty Three Nestabilities (Spellbinders), Nautical die set by Verve, Large scallop border Die-Namics by MFT, Jute twine, Silver rhinestone sticker by Recollections. 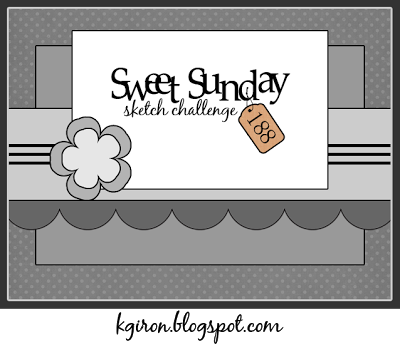 I merged my sample for this week's Color Throwdown Challenge with the Retro Sketch Challenge! I always love the designs that Arielle and her team come up with each week! 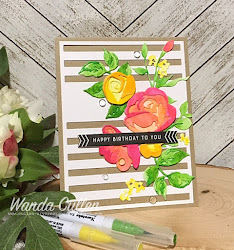 Lynn has thrown down some awesome colors for us and I couldn't resist using some new stamps - Fresh Cut Florals - by W Plus 9 for my card. 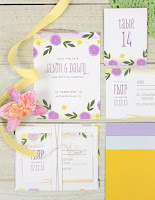 This set has coordinating dies and the combinations of flowers and arrangements is literally endless! I did my "flower arranging" in a mason jar image by Flourishes after coloring with Copics (BG0000, BG000, BG10) then fussy cutting. It's a bit hard to see the doily and Nestie circle that form the BG to the flowers. I love the "Charles" dotted chevron EF for the base white panel. The sentiment was created using Fancy Framed Tags Two dies. 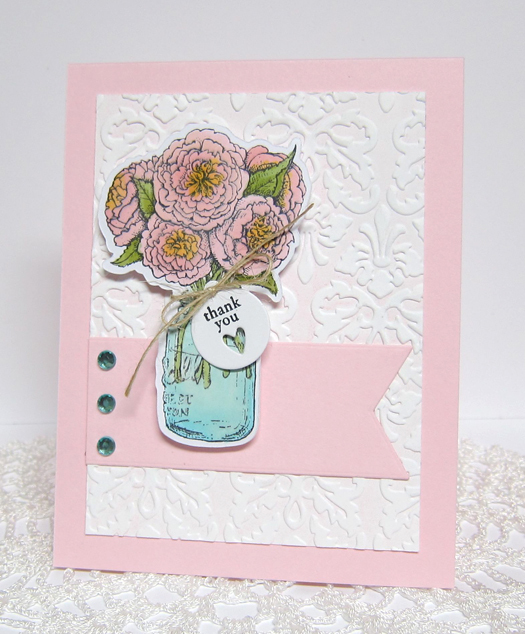 Some turquoise rhinestones finish off the card. Hopefully you got to celebrate with us last week for our 5th anniversary bash and hopefully you were one of the lucky winners! Remember to check back on the Color Throwdown blog tomorrow (Thursday) to see if you're a winner! While you're at the CTD blog, check out the design team's samples - as well as our talented guest designer, Stacey Schafer - for more inspiration! 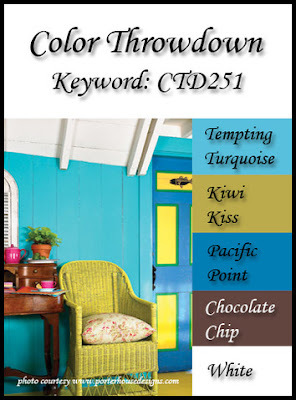 INK: Tempting Turquoise, Pacific Point, Kiwi Kiss, Old Olive, Daffodil Delight, Chocolate Chip. ACCESSORIES: Doily (SU), Circle Nestie, Fresh Cut Florals dies by W Plus 9, Fancy Framed Tags Two dies by SB, Aqua rhinestones by KaiserCraft, Charles embossing folder by Cuttlebug, Corner chomper. 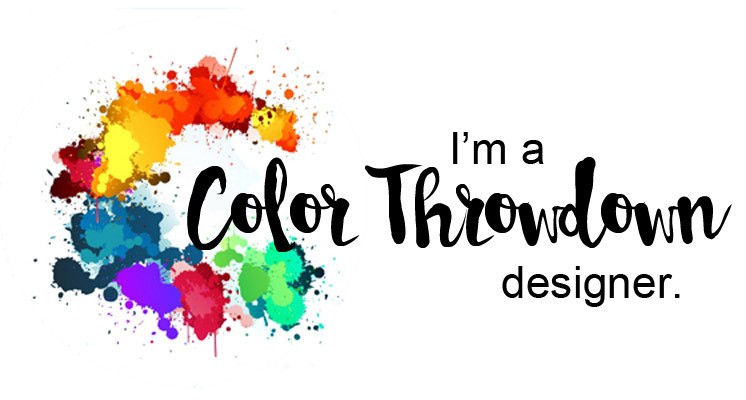 Color Throwdown & Big Celebration!